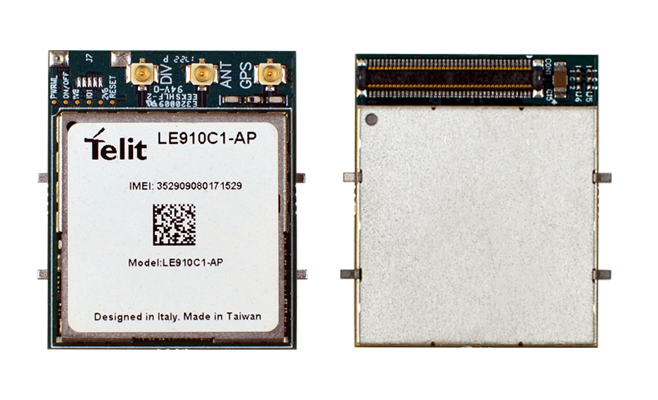 Together with pre-existing solutions from our partner Digi offering WIFI, Zigbee and 915MHz band, we have added Sigfox, LORA, and Cellular (any type be it 3G, LTE, Cat1, Catm1, NB-IOT with or without sim holder, optional GPS and voice), Xbee modules. 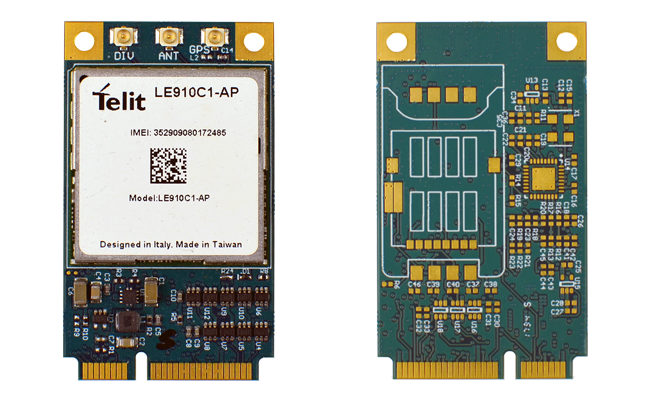 The Glyn XBee form factor allows for a low cost carrier board that is plug and play with the Digi® XbeeTM form factor, with communication over UART. 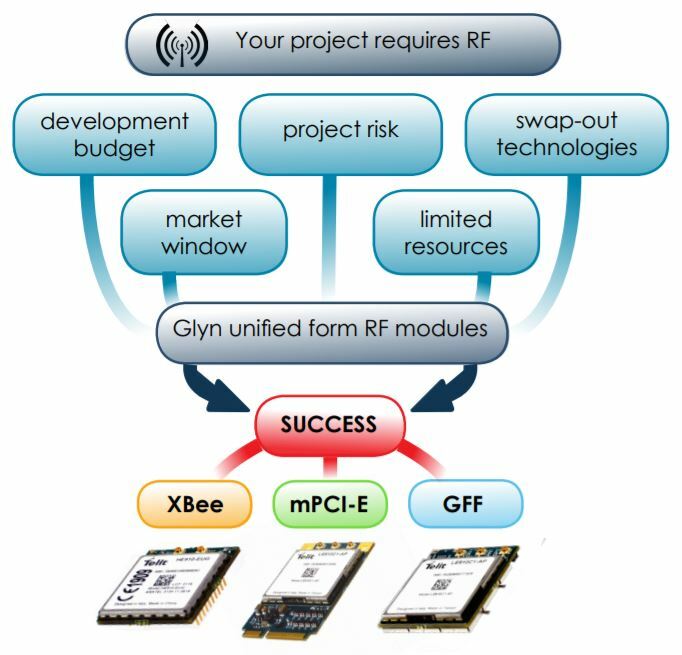 With robust connectivity options and faster time to market the pluggable Cellular, Sigfox, and LoRa modules available from Glyn, your new product can have the right connectivity solution for any application with a short turnaround and lower development cost. By using this industry standard form factor, we can offer both USB and/or UART interface options. This means whether you are plugging into a 3rd party solution with an available Mini PCIe carrier slot, or you simply like the form factor to plug into your own base board we can provide extended functionality versions not provided by traditional module manufacturers. These include active GPS, 3 x GPIO configuration, on board SIM Holder, and Analogue Audio. 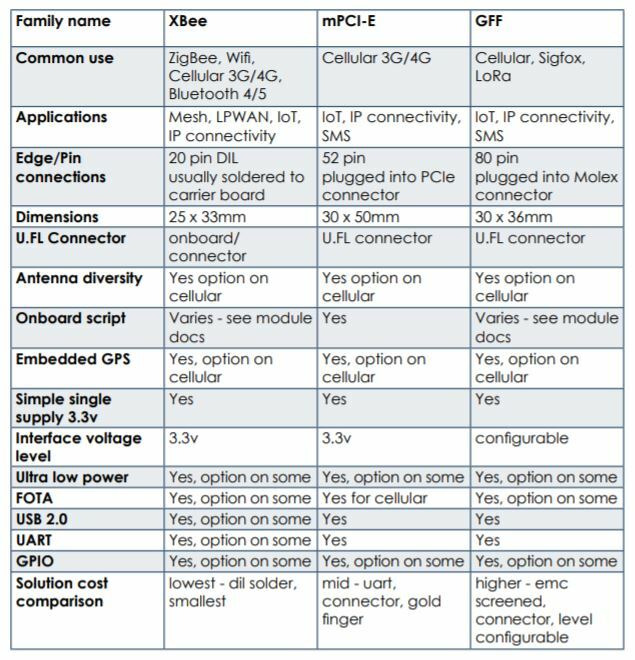 Glyn GFF range is an established form factor for cellular communication that has now expanded to Sigfox and LoRa. This allows you the flexibility to deploy your product when and where needed. 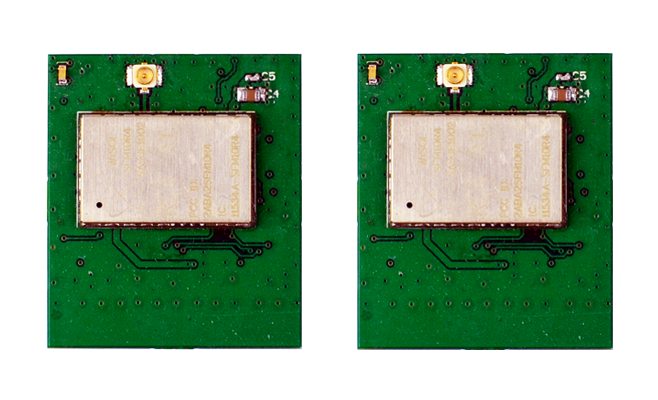 With robust connectivity options, the pluggable Glyn Cellular, Sigfox and LoRa modules enable you to have the right connectivity solution for any product application. Having trouble deciding if this is right for you?